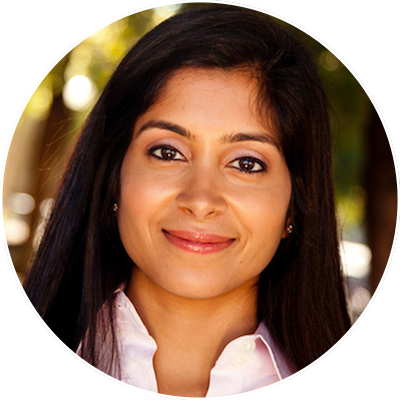 Courage, grit, and reciprocity are the three words I’ve been using to describe Piazza Founder Pooja Sankar. After being raised in the U.S. and Canada, her family moved back to their hometown in India when she was 11, where her brother and her needed to acclimate to life without many of the luxuries they grew up with, like electricity and running water. Soon after, when Pooja’s friends were dropping out of school to be set up in arranged marriages, her parents were working tirelessly to achieve a very different vision they had for their daughter: They wanted her to become an engineer and dedicated themselves entirely to supporting her education, driving her to and from the best tutors in town (it wasn’t safe for young girls to walk alone) to refine her math, physics, and chemistry skills. The Sankar family’s grit paid off. In 1998, Pooja was the first girl from her hometown, and one of the only females, to be accepted to and attend the Indian Institute of Technology. Yet, despite the magnitude of her acceptance, because young men and women didn’t socialize with each other, Pooja was forced to navigate her education alone, often working in the library until 6 a.m. while her male classmates left hours earlier as a result of being able to help each other with their assignments. This perseverance would go on to carry her through earning her PhD at the University of Maryland, when she was simultaneously set up in her own arranged marriage, that, with the support her parents, she garnered the courage to leave. A decade ago, while attending Stanford Business School, Pooja decided to create Piazza: A digital question and answer platform for students to connect with each other, teaching assistants, professors, and now employers to get the support they need. Today, over 2.5 million students spend hours on the site every day. In our conversation, we discussed how Pooja cultivated each of these traits - Her family and her’s courage to dream a new dream, the grit to realize it, and the remarkable reciprocity of her story. These are the ideas I’ll be carrying with me from our time together. I hope they’ll be equally inspiring for you on your journey. The life-changing impact of championing others: When Pooja was concluding her time at Stanford she was considering joining a technology company that she wasn’t particularly passionate about. On a class trip to Honduras, a friend pulled her aside and said: “Pooja, you know how to code. You can do anything.” His single assertion gave her the courage to start Piazza, demonstrating how the simple act of revealing a person’s strengths and elevating their confidence can change the course of their life. If you have what feels like even the smallest opportunity to highlight someone’s skills or encourage them to pursue their dreams, take it. You might just change their life. Ask yourself: Why does what I am doing matter to me? Sleep on it. Sleep replenishes your mind and willpower to keep moving forward. Serve others. When you do work that uplifts others, you’ll always have a seed of motivation to get out of bed in the morning. Take baby steps: What are the steps you can and need to take today so you can get where you need to go tomorrow? Seek out an achievement partner: We always achieve more when we support each other and Pooja highlighted the importance of asking others for help accomplishing our goals. Consider trying her approach for a goal you’re working towards right now: Share a goal you are trying to achieve with someone you trust. Let them know your plan to accomplish it and where you need support. If you sense they’re eager to help, which most are, ask them if you can create a rhythm to check-in with them regularly to help you assess your progress and provide feedback. Pay it forward by helping someone else achieve their goal.